If you’re thinking of investing in the 2017 Land Rover Discovery Sport, you might be wondering what kind of power and performance you’ll get from this rugged vehicle. Learn about the performance features in the 2017 Land Rover Discovery Sport today from Land Rover Annapolis. The 2017 Land Rover Discovery Sport features a 2.0L 4-cylinder turbocharged engine. This engine is built with lightweight aluminum for premium performance, reducing weight for better mileage with a durable and powerful alloy. Advanced turbocharging promotes fuel efficiency and quick acceleration, while the latest direct injection fuel technology provides precise power when you need it. The independent variable valve timing lowers fuel consumption and reduces emissions for an engine that’s all-around cleaner than traditional large-capacity engines. You’ll love the rich and powerful sound of the engine as you accelerate down Arnold highways. The low-friction design means smooth performance that lasts longer, while the state-of-the-art electronic management system means intelligent fuel use no matter how fast you’re going. The unique exhaust manifold offers a quicker warm-up for speedy takeoff. This engine produces 240 hp and 250 lb-ft of torque. It goes from 0 to 60 in just 7.8 seconds, and can attain speeds of up to 124 mph. Careful driving will get you a fuel efficiency of up to 28 mpg highway. The 2017 Land Rover Discovery Sport is designed for great performance from the ground up. Advanced construction techniques and lightweight, strong materials used for the panels and chassis mean you’ll get better mileage than ever, with a stiff body that gives you more control over your Land Rover Discovery Sport’s refined drive. Eco Mode prioritizes fuel efficiency when you need it, while the engine stop/start function helps you save energy even when idling at a stoplight in Washington DC traffic. 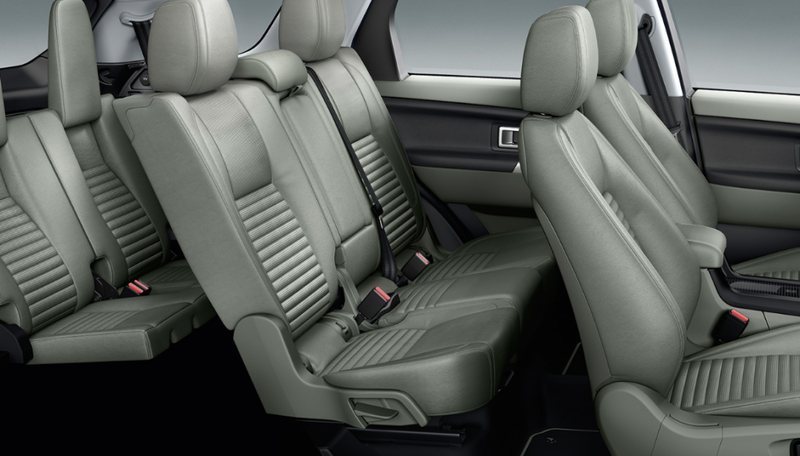 The Land Rover Discovery Sport comes with a 9-speed automatic transmission. This compact gearshift is made with aluminum for lightweight construction and ease of shifting, providing optimal fuel economy and excellent control in low-grip conditions. The ultra-low first gear is designed for ease in towing, while the higher top gear offers smooth performance and reduced noise. The 2017 Land Rover Discovery Sport offers plenty of technologies that give you supreme control over your vehicle and the surrounding terrain in Baltimore. The lightweight suspension use an advanced hydraulic rebound system for a smooth ride with no kickback. The Adaptive Dynamics System with MagneRide uses sensors to constantly monitor the movements of your vehicle, analyzing your ride to minutely adjust the magnetic damping system for a controlled ride and minimal body roll even over rough terrain or around tight curves. The Torque Vectoring By Braking system balances torque distribution to each individual wheel, ensuring confident steering and a better grip around corners. The Terrain Response system offers four driving modes that optimize your engine, chassis response, and transmission to ensure premium grip and a smooth ride over any surface. Finally, the All-Terrain Progress Control system helps you over slippery or slick surfaces by ensuring traction and torque at a set speed, keeping you on track and safe. Are you ready to invest in the 2017 Land Rover Discovery Sport? 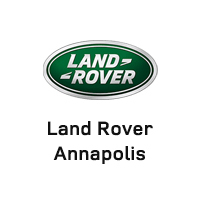 Land Rover Annapolis can make it happen! For a test drive, call us today at (410) 904-3108 or come see us at 101 Ferguson Rd, Annapolis.